The Swiss pharmaceutical firm's U.S. generic pill business could attract as much as $1.6 billion, Reuters reported. The generic drug business has faced some struggles of recent amid that decline Swiss pharmaceutical company Novartis AG (NVS - Get Report) is reportedly gearing up to launch a sale process for its U.S. generic pill business. The unit could attract as much as $1.6 billion, according to Reuters, which reported on Friday, Feb. 16, that the sale process will kick off in the next few weeks and that other pharmaceutical companies or private equity firms could be interested in buying the business. The unit had $200 million in Ebitda a source told Reuters, though like its peers, it has experienced pricing pressures amid competition. "There are significant pricing declines. At least in the medium term, we don't see a shift to that situation, and so we're assessing how best to optimize that given that dynamic," Novartis Chief Executive Vasant Narasimhan told investors and analysts during the company's fourth-quarter earnings call, according to Reuters. A Novartis representative said the company does not comment on market rumors. Novartis' American depository receipts were trading at $87.37 on Friday, up 0.8%. And the bottom in the industry might not have been reached, says Goldman Sachs & Co. Earlier in the week, generic drug industry executives gathered in Orlando, Fla. at the Association for Accessible Medicines' annual meeting and among the key takeaways is that pricing for U.S. generic drugs appears to have stabilized but it's too soon to call the bottom, according to Goldman analysts in a Feb. 15 note. It will depend on the outcome of rationalization efforts across the sector, as well as potential consolidation and key new product launches such as generic versions of Glaxosmithkline plc's (GSK - Get Report) respiratory drug Advair, analysts said. Generic drugmakers have faced pricing declines stemming from factors such as customer consolidation and heightened competition as a result of accelerated approvals by the U.S. Food and Drug Administration for additional generic products. One of the top generic players, Teva Pharmaceutical Industries Ltd. (TEVA - Get Report) in December announced plans to cut 14,000 jobs globally -- or more than a quarter of its staff -- over the next two years as part of restructuring efforts aimed at lowering its total cost base by $3 billion by the end of 2019 from the estimated base of $16.1 billion for 2017. 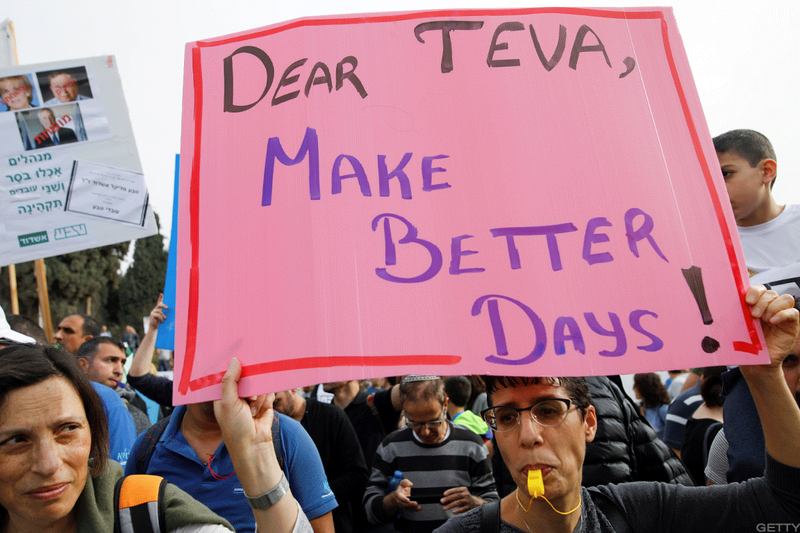 Petach Tikva, Israel-based Teva has a massive debt load -- $32.48 billion, according to FactSet Research Systems -- which was created largely by its $40.5 billion purchase of Allergan plc's AGN generic business in 2016. To be sure, as smaller assets like Novartis' U.S. unit become available they could be acquisition opportunities for some more pure-play generics companies that are struggling.